Author Robert J Harris has brilliantly tapped into the characters and mythos of Sir Arthur Conan Doyle's most famous creation. Sherlock Holmes (dang, we mentioned the 'S' word there, sorry but hello to any Cumberbatchians who've ended up on our page by mistake) is undoubtedly one of the most celebrated and influential characters in lit-history, putting his amazing brain to good use solving the sort of twisty-turny plots we just can't resist. Now in this new middle grade series from Floris Books, Robert revisits the famed character's creator as an inquisitive fellah named Art E. Conan Doyle, who along with his sidekick Ham, delves deep into a series of bizarre events in Victorian Edinburgh. 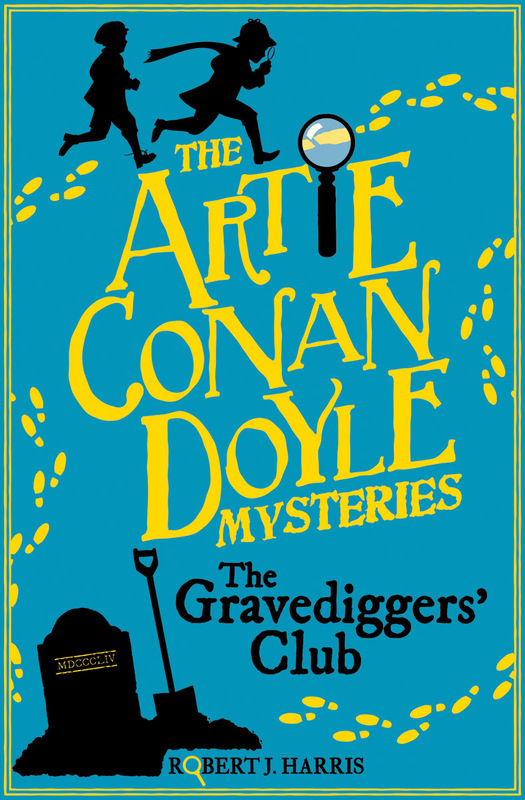 Graves, ghosts, terrifying hell-hounds, all in a day's work for our amateur sleuth who is soon hot on the trail of an insidious plot involving a secret organisation known only as "The Gravediggers' Club", founded by the nefarious Colonel Braxton Dash. But just who is the mysterious spectre dressed in grey that haunts the graveyards? Will Art's first case be his last? Let's hope not, because this is an absolutely blistering read, once again proving that there's plenty of life in Conan Doyle's characters even when other authors take them out for a spin. 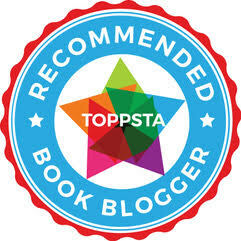 Kids who are currently loving "Murder Most Unladylike" and other cracking detective fiction for middle graders and YAs are absolutely going to eat this up. 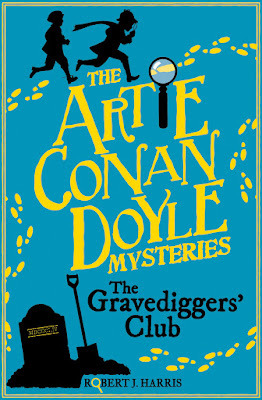 "The Art E Conan Doyle Mysteries: The Gravediggers Club" by Robert J. Harris is out now, published by Floris Books (kindly supplied for review).